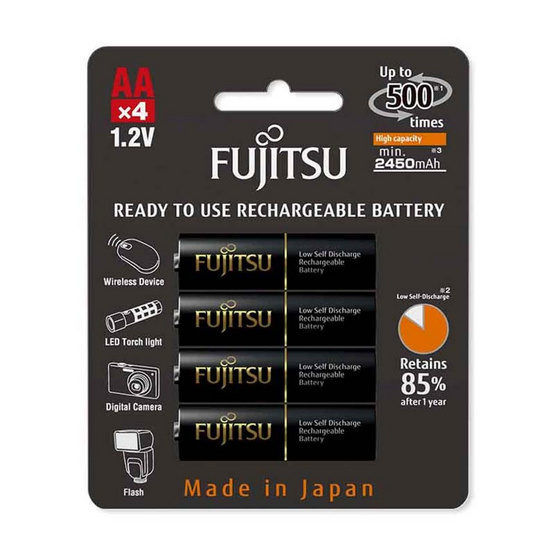 FUJITSU BLACK PREMIUM HIGH CAPACITY ready to use recheargeable batteries. Enjoy photography with maximum power when using the Fujitsu Black Premium High Capacity batteries in your camera and other energy-hungry devices. With a minimum capacity of 2,450mAh, this premium model is our longest lasting battery. It is ideal for all your devices that require high and stable power.